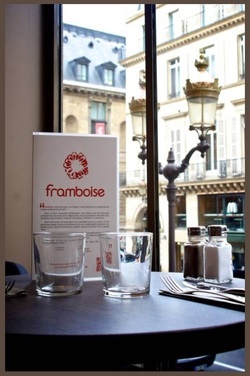 ﻿Framboise is a French creperie chain in Paris. In a contemporary setting, Franboise rewrites the sector's traditional codes. Offering fresh and natural food to its clients in a lovely designed interior, the restaurants use a 100% organic buckwheat flour for each house-made crepe.